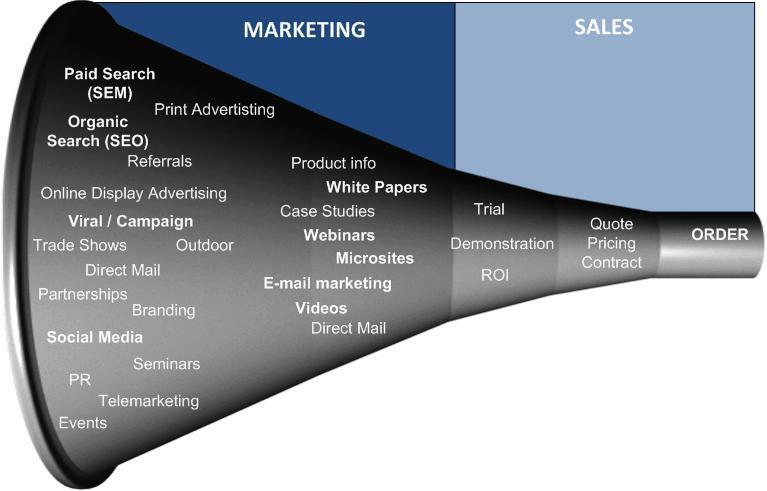 The Purchase funnel (also called the Sales funnel, or Decision funnel) is any of a number of different frameworks that show how customers arrive at decisions, using a funnel shape to illustrate the diminishing number of customers that get through each subsequent stage. 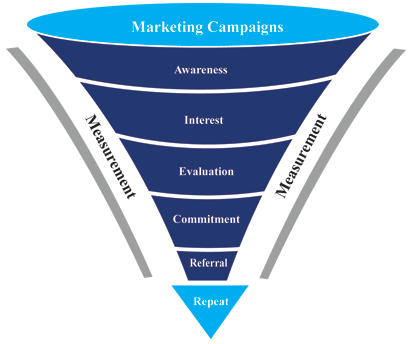 The terms “purchase funnel” and “sales funnel” are the most popular, but they’re also imperfect since you can use the same models for things other than sales — promo sign-ups and survey participation among the most common non-sales actions. The same principle also applies to social media likes and shares. For every like or share that you have, you can be confident that several other people came in contact with your posts. 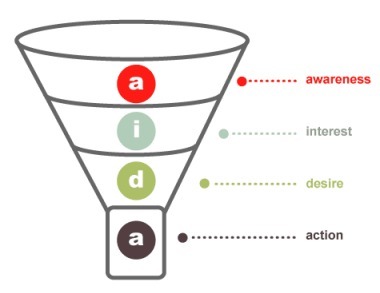 The AIDA model(standing for Awareness, Interest, Desire, and Action), is a classic marketing framework that has managed to be part of pop culture. AIDA is now often considered to be a historical model and has been superseded by TIREA ( Thought, Interest, Risk Evaluation, Engagement, Action), REAN (Reach, Engage, Activate, Nurture) and many others. Is it worth adding complexity to a pretty straightforward idea? It depends on your business model and what you hope to achieve from your marketing. For smaller companies where the role of sales and marketing isn’t differentiated all that much, it might be better to stick to simpler traditional models. 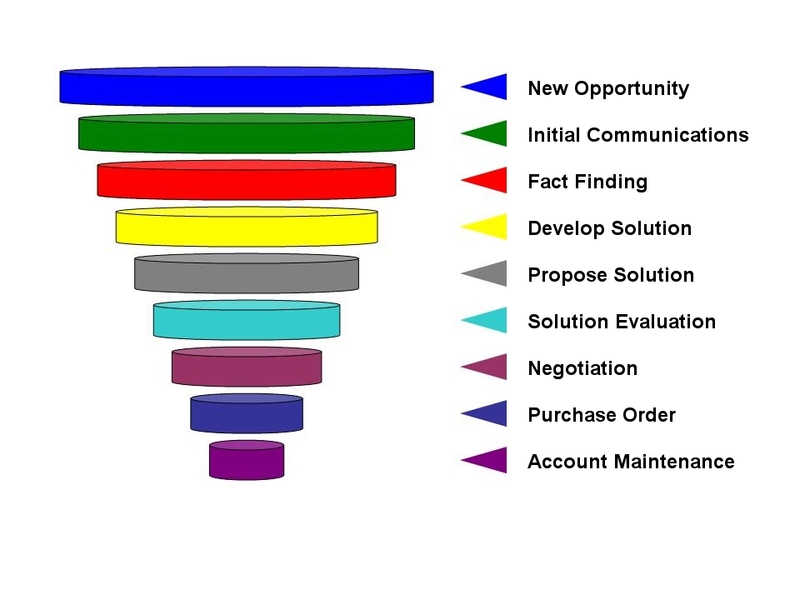 It’s more important to know which projects are generally TOFU (top-of-the-funnel), and which ones are MOFU or BOFU (middle and bottom of the funnel). This can help illustrate why certain projects are better than others at attracting customers, versus converting or retaining them. 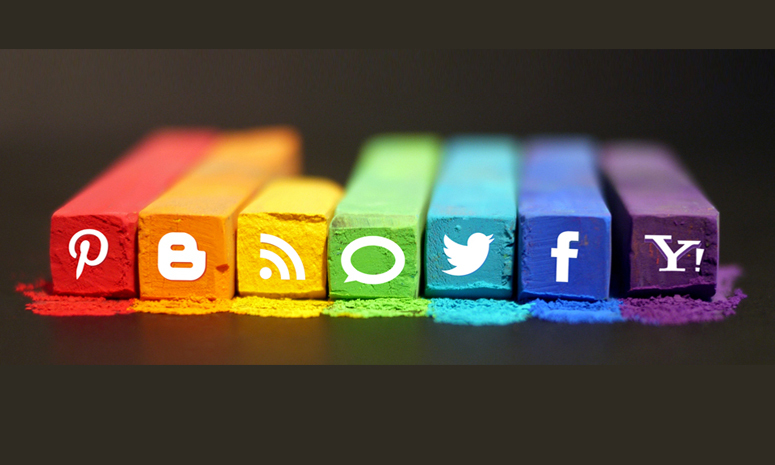 Social media campaigns and branding for instance, tend to be (but aren’t always) TOFU projects. 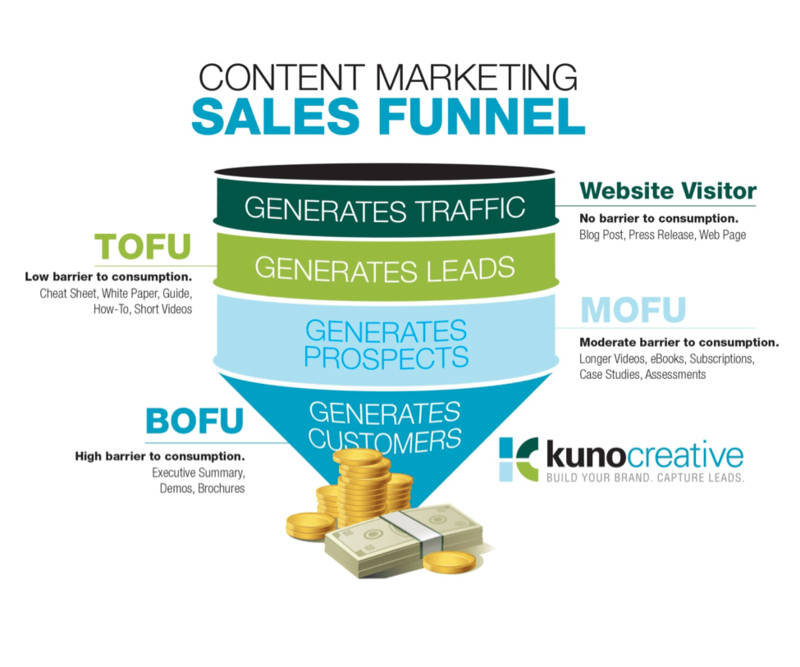 Lead generation can be TOFU or MOFU. Customer relations management tends to be MOFU or BOFU. There are no hard and fast rules, and it all depends on the channels you use and how you use them. In the end it doesn’t really matter which models you use so long as you could use them to help your team understand their roles as marketers and sales people . It works best as a visualization tool- not as a guiding factor in an overall marketing strategy. 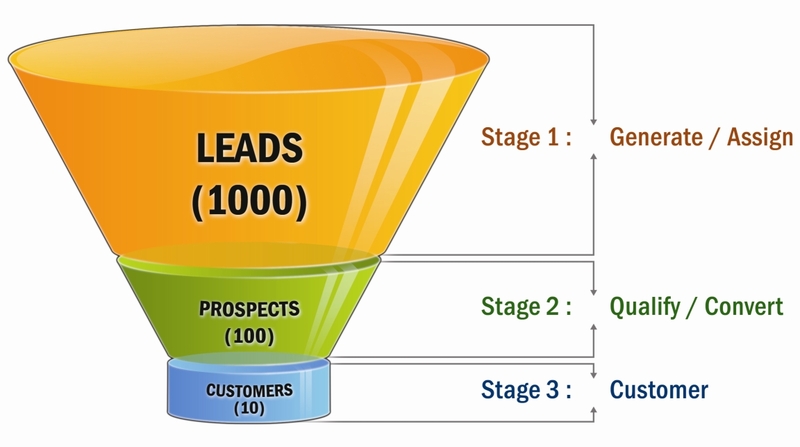 Tell us about your thoughts on Sales Funnels! We’d love to know! Comments welcome below.